Eurosuccess Consulting participates in the European project #PlayEurope- EduGames for Active Citizenship, an Erasmus+ project co-funded by the EU. 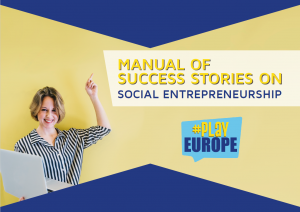 #PlayEurope uses the concepts of social entrepreneurship and the cooperative enterprise model to enhance the interest of youth in social issues and to address unemployment. 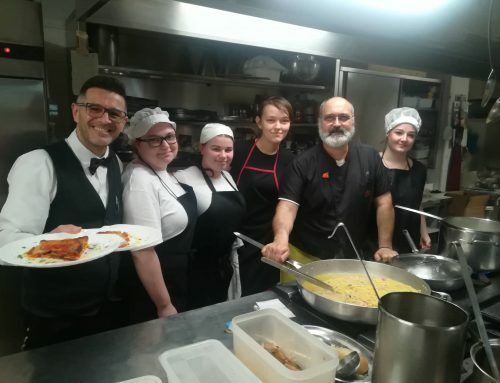 The project offers a set of tools to support young people in developing their competencies to run a social business and to become better citizens. Europe has been marked in the last decades by a reduction of participation in social life, above all among young people. Lower participation and activism will bring people to the flattening of a whole generation that will not be able to recognize their rights and call for their respect. Furthermore, the unemployment rate, an important measure of a country or region’s economic health, is still high in the EU Countries, even though it is falling from its 2013 peak. 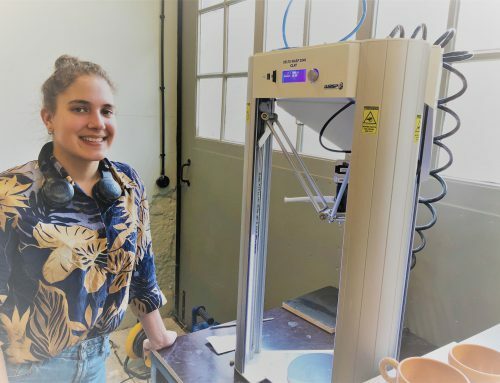 In order to address this trend, the European Union supports entrepreneurial initiatives as long as they have a social impact and generate profit either for entrepreneurs, either for the entire community. The #PlayEurope partners have different backgrounds and come from all over Europe: VITECO (Italy), Varna University of Management (Bulgaria), Marketing Gate (FYROM), Eurosuccess Consulting (Cyprus), University of Murcia (Spain), Action Synergy (Greece), Group of the European Youth for Change (Romania), PEIPSI (Estonia), K-Veloce (Spain). In spite of different economic and social contexts, their joint effort is to find a common solution young people could benefit from. In order to foster young professionals to begin their Social entrepreneurship journey, the starting point was to boost their motivation. For this reason, the first output of the project is the Manual of Success Stories on Social Entrepreneurship, ten business adventures across Europe that have young entrepreneurs as protagonists, with their strengths and weaknesses, fears and experiences. Strong challenges turned into social enterprises as an instrument of inspiration for young people that want to set up their own business, helping disadvantaged people and involving communities. The launch of the Manual of Success Stories was on June 2018 and it has been a great success reaching a wide audience throughout Europe. Hundreds of entities and incubators that work in the field of social entrepreneurship have welcomed the Manual and they are now integrating the stories within their training programmes to motivate their users. The creative layout, the easy language, the chance to read the stories online or to download the PDF version for free, allows sharing the inspiring stories of social entrepreneurs that passed through difficulties and obstacles, finding their own way to be successful in life. Meaningful lessons learned from people that found the courage to bet on themselves. The second output of the #PlayEurope project is a work in progress. The Step‐by‐Step Guide – Become Social Entrepreneur in 7 days will be available also on the website of the project and will contain both theoretical context and EduGames for learning the crucial basics of soft and hard skills, important to set up a social enterprise. The edutainment approach aims to be the starting point for raising awareness among youth about the importance of participating in the community through the engaging solution of running a business with ethic values.